The Independent Adviser on Tenant Farming, Andrew Thin, has called for a wide ranging debate about the role of agents following an amendment to the Land Reform (Scotland) Bill. The amendment was tabled in Parliament last week by Richard Lochhead MSP, Cabinet Secretary for Rural Affairs, Food and Environment. It will require an incoming Tenant Farming Commissioner to report on the operation of agents in relation to agricultural holdings within 12 months of the measure coming into force. The Independent Adviser has now issued a discussion paper on conduct and standards for agents in order to facilitate debate across the industry about the issues raised in Parliament. He is also seeking meetings with all the relevant professional bodies that represent agents in order to get their input and support for appropriate action. Explaining the thinking behind the discussion paper Andrew Thin said – “Concern has been expressed in Parliament about widespread dissatisfaction with the conduct of agents in some cases. This is not something that anyone who acts on behalf of landlords or tenants can afford to ignore”. “Of course many agents are doing an excellent and professional job, but something is clearly going wrong in certain cases, and it is vital that the sector acts quickly to get on top of this”. “Agents, and especially the large firms that employ many of them, should be able to resolve this for themselves rather than relying on government to do it for them”. The Scottish Tenant Farmers Association has greeted the Land Reform Bill, successfully passed through the Scottish Parliament today by an overwhelming majority, as the most significant reform to tenancy legislation since tenant farmers were granted security of tenure in 1948. The Land Reform part of the Bill is an enormous step forward to bringing much needed change to the way in which Scotland’s land is owned and managed, and the establishment of the Land Commission will guarantee the land reform becomes an on-going process. Part 10 of the Bill, on Agricultural Holdings, has greatly strengthened the position of tenants by creating a Tenant farming Commissioner to improve relationships and see fair play between landlords and tenants; introduce a much fairer and more transparent system of rent reviews; improve the end of tenancy compensation; greatly broaden the class of relative entitled to succeed into a tenancy; and create an exit route for 1991 tenants to assign their tenancies to new entrants or farmers progressing through the industry if their landlord does not want to buy them out. Commenting on the bill STFA Chairman Christopher Nicholson said: “The tenanted sector has been in long term decline for decades, in 1982, 42% of Scotland’s farmland was tenanted, today it is 24% and these reforms to agricultural holdings will go a long way to breathe new life into the tenanted sector. “The Scottish Government has recognised the value of 1991 tenancies and the family farms they represent as the backbone of the tenanted sector and has taken steps to ensure they do not wither on the vine by allowing them to be passed to a much wider group of relatives and also to new entrants and farmers making their way up the farming ladder. Rather than “mothball” the tenanted sector, as suggested by Alex Fergusson MSP in parliament today, the proposed changes to tenancy legislation will inject a new dynamism creating confidence, stimulating investment and forward planning. “Opponents to the bill should now stop the rhetoric of threatening not to let land or to legally challenge the new legislation, and recognise that Scotland is moving on and land reform is becoming a reality. There is nothing in the bill that should deter landlords from using the new tenancies and, in practice, there will be very little in the rest of the bill which will materially disadvantage landlords. “Tenants will also be heartened that this bill is taking a hard line with the behaviour of land agents who are frequently the cause of breakdowns in landlord/tenant relationships. One of the first tasks of the new Tenant Farming Commissioner will be to conduct a review of the way in which land agents operate and make recommendations where necessary. This will build on the work already started by the interim commissioner, Andrew Thin, and will go a long way to regulate the bad behaviour which has been a blight on the sector. High profile rent reviews have highlighted the deficiencies in the rent system – that is now being overhauled. 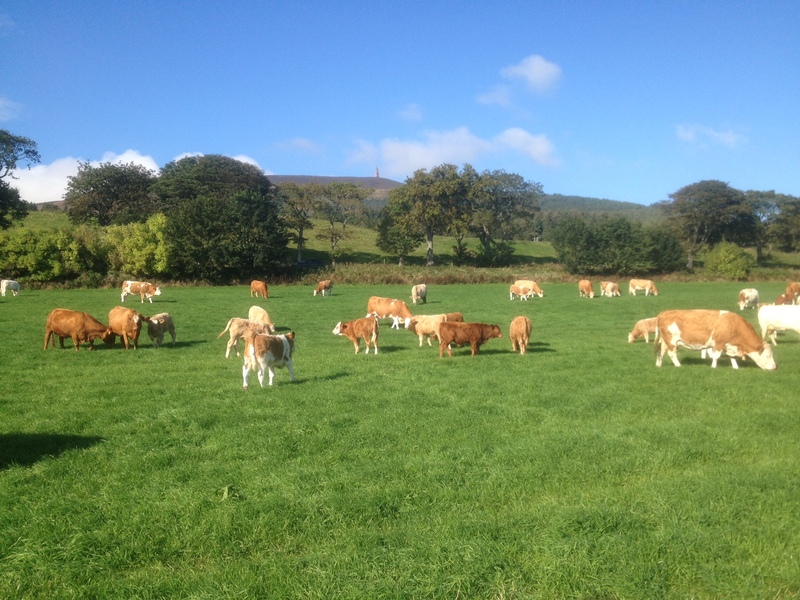 The lack of investment in tenanted farms has inhibited tenant farmers in comparison to their owner-occupier peers, new compensation and end of tenancy options will stimulate investment and put tenants on a level playing field with other farmers. The Scottish Tenant Farmers Association is calling on the Scottish Government to reject landowners’ plea to scrap some key elements of the Land Reform Bill. Scottish Lands and Estates have written to Cabinet Secretary, Richard Lochhead, urging him to rethink the proposal for relinquishing and assigning 1991 tenancies. STFA has steadfastly campaigned for the right for secure tenant farmers to be able assign their tenancies for more than a decade and welcomes the Scottish Government’s new proposal for assignation which should not only help preserve these valuable tenancies, but will also make them available for new entrants of those progressing through the farming industry. Commenting on SL&E’s 11th hour appeal to the Scottish Government, STFA Chairman Christopher Nicholson said: “STFA is urging the Cabinet Secretary not to bow to landowner pressure and weaken the assignation provisions in the Bill. Contrary to SL&E’s views, the proposal allowing tenants to assign their tenancies has been well thought out and strikes a fair balance between the rights of tenants and landlords. Tenants, thinking of retiring will now have much more control over how they go about it and a greater chance of getting realistic compensation for their investment in the farm compared to some of the pitiful payouts we have seen in the past. There will also be the opportunity to pass the tenancy on to the next generation of farmers giving them the undoubted benefit of secure tenure. Landlords, on the other hand will be given every chance to buy their land back at a realistic value, easily offset by the immediate increase in the capital value of the land. “It is disingenuous for landowners to assert that the assignation proposal will only affect a small section of tenants when in fact, it is open to all 1991 tenants whether or not they have successors. It will not only encourage older tenants to exit the industry but could also provide opportunities for new tenants. It is also a measure which has the support of the majority of tenants. Indeed, government’s own figures show that 76% of all tenants believe assignation for value to be important. 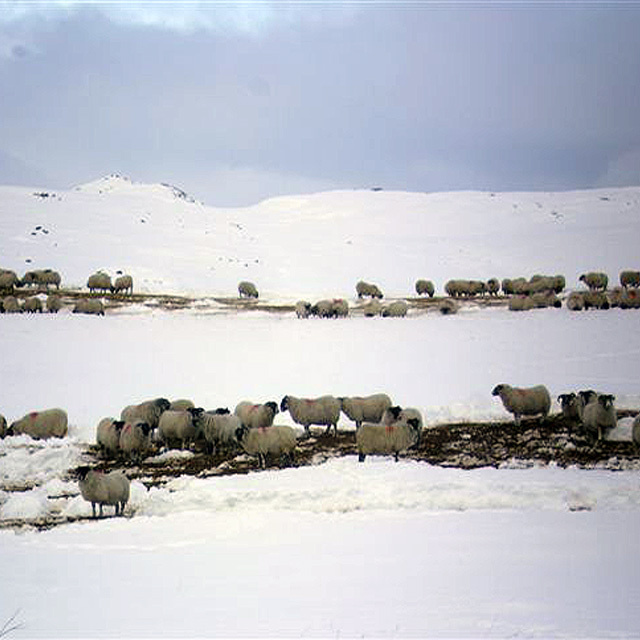 “STFA is confident that assignation of 1991 tenancies will be of long term benefit to Scottish agriculture by maintaining numbers of secure tenancies and providing access to them for new farmers. Landed interests can threaten to withhold land, but very little land has been let out on the open market for over a decade. Recently many landowners have tended to concentrate their efforts on maximising the subsidy regime by taking land back in hand to take, rather than acting in the public interest by renting land out to stimulate the tenanted sector. The Scottish Tenant Farmers Association welcomes yesterday’s announcement by First Minister Nicola Sturgeon and Cabinet Secretary Richard Lochhead that a £200M relief package is to be made available as an advance payment to those still waiting for their CAP payments at the end of March. Having listened to the concerns of the industry, the First Minister stated the government is halfway through the payment window but payments are not being made fast enough and this is creating cash flow issues for farmers to the wider detriment of the rural economy. Commenting on the situation STFA Chairman Christopher Nicholson said: “This is indeed good news and evidence that the government has listened to the concerns of farmers and appreciates the knock-on effects which the cash flow crisis is causing. Above all, yesterday’s announcement of the £200M rescue package and last week’s promise of LFASS payments by the end of March will now enable farmers to meet pressing short term bills such as feed, fertiliser and seed and provide some certainty to plan the year ahead. “This has been an incredibly difficult time for farmers emerging from a difficult winter with commodity prices on the floor, reduced support payments, now compounded by the payment fiasco. 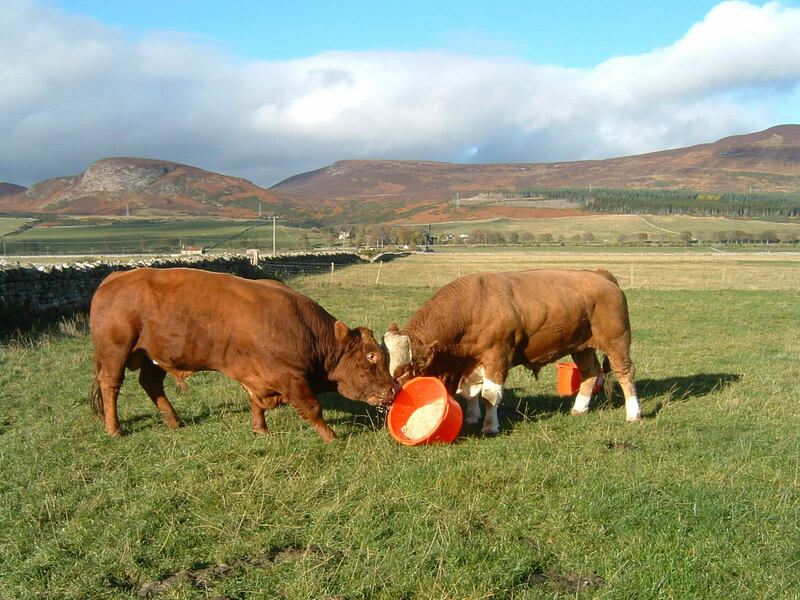 There was never going to be a seamless transition from one CAP regime to another, with Scotland’s varied agricultural landscape, the complexities of a new system and the added demands put on it by the agricultural industry and a plethora of last minute changes. However, it’s very clear the IT system has not been fit for purpose, plagued by poor decision making, mismanagement and misinformation. Questions must now be answered for lessons to be learned and whether the IT system will be capable of delivering BPS in the future. These issues may well have arisen whichever government was in power but this is a civil service matter requiring independent scrutiny, investigation and resolution. “Many tenant farmers anticipated payment delays in their forward budgets. As tenants, they are at the sharp end unable to use rented land as borrowing collateral but the extremely wet winter and low commodity returns have undoubtedly heightened the need for prompt CAP payment delivery. 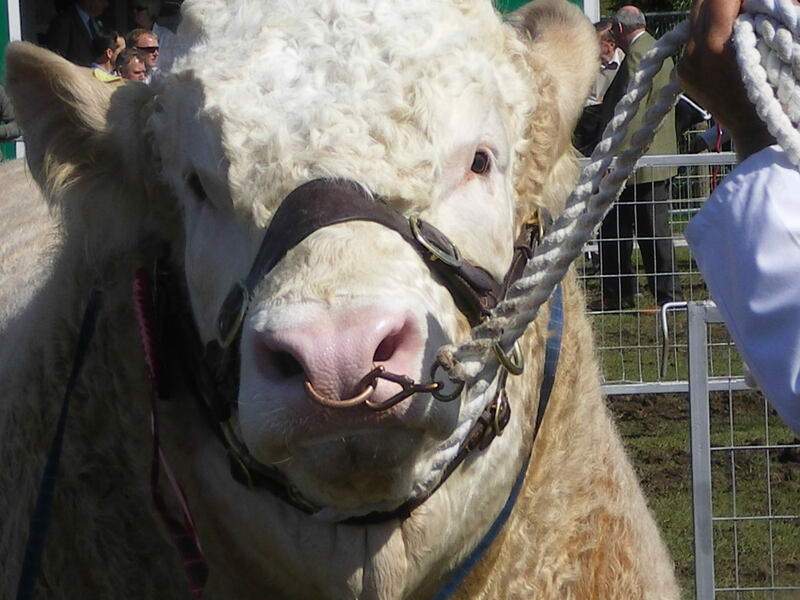 The Scottish Tenant Farmers Association has dismissed today’s statement by Scottish Lands and Estates on government proposals for tenants to relinquish or assign their tenancies as hysterical scaremongering. The Scottish Government has just published measures designed to provide tenants with a range of options to encourage early retirement. The new proposals will allow the tenant to invite the landlord to buy the tenant out of his tenancy in exchange for an independently valued end of tenancy payment. If the landlord does not want to resume the tenancy the tenant may assign it, for value, to a new entrant or to a farmer making his way up the farming ladder. Alternatively, the tenant and landlord can agree to convert the tenancy into a 25 year Modern Limited Duration Tenancy which the tenant can sell on the open market. Commenting on the SL&E’s statement STFA chairman Christopher Nicholson said; “Today’s statement by Scottish Lands and Estates can only be described as a hysterical reaction without any foundation to a well thought out proposal which recognises and respects both tenants’ and landlords’ heritable property rights. This proposal is not the eleventh hour knee jerk reaction to SNP grassroots pressure that landlords would like to think it is, but one that has months of thought and checking for ECHR compliance behind it, and follows a recommendation by the RACCE committee in May 2015 to the Cab Sec that assignation provisions for secure tenancies should be reconsidered by increasing the flexibility around assignation. “Assignation of 1991 tenancies has widespread support within the tenanted sector and it is disingenuous and insulting to describe it as “lining the pockets of a small group of tenant farmers looking for a pay-off”. Those with experience of security of tenure appreciate its benefits as a model of land tenure and would like to see these benefits rolled out more widely. A recent STFA survey of members showed 84% of respondents in favour of assignation and a 90% in favour of ring-fencing the tenanted sector. “Short-termism has dominated the letting market over the last 20 years as landlords maximise rental and subsidy income. This proposal has the potential to re-introduce the farming ladder by creating opportunities for new and developing businesses to benefit from security of tenure with the added benefit of reducing the plummeting decline in the area under secure tenancy. Moreover, this measure has the greatest chance of maintaining investment on holdings where there is a long history of minimal landlord investment. Lack of investment in holdings was identified as one of the main problems besetting the tenanted sector. “Scottish Lands and Estates hectoring tone does them no favours and yet more threats of litigation and withholding land from the tenancy market will not impress legislators. Landlords should put their narrow self-interest to one side and look towards the future health of the tenanted sector. Rather than condemn this proposal out of hand, landlords would do better to understand the intention behind it and the benefits it could bring to the tenanted sector. In practice, the “Relinquishing and Assigning of Holdings” provision should not lead to confrontation and legal challenges, but should act as a stimulus for landlords and tenants to sit down to discuss the future of their tenanted when the tenant wishes to leave the holding. A new range of options will be available which will allow a variety of deals to be done to the mutual benefit of both parties and to the benefit of the future generation of Scottish famers. 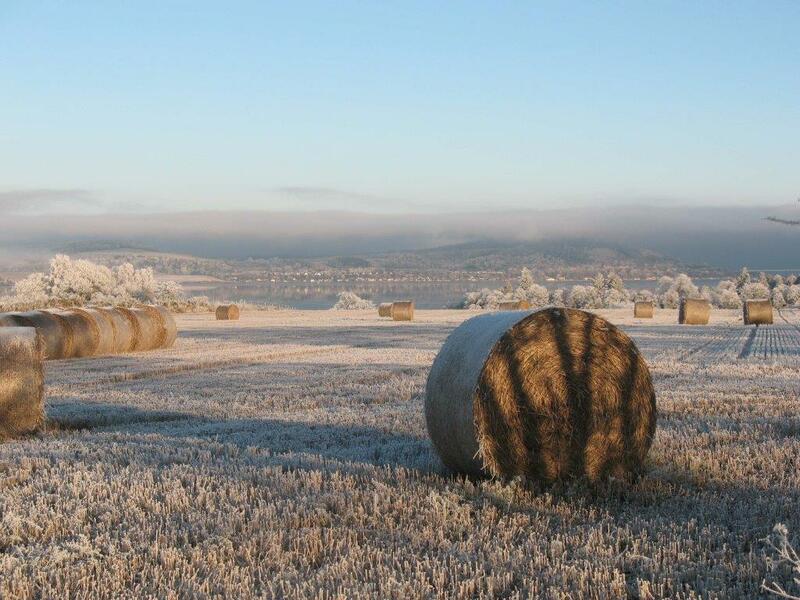 The Scottish Tenant Farmers Association has greeted the issue of the Guidance note for help with rent reviews by Andrew Thin as timely in the run up to the date by which land agents should have been contacting tenants whose rents are to be reviewed. The conduct of rent reviews has concerned tenant farmers for some time. What should be a routine business transaction all too frequently becomes a stressful and sometimes confrontational performance. Much of this is due to the tactics used by land agents in their attempts to extract as much rent as possible from their tenants, but sometimes tenants are not fully aware of the rent review process and how it should be carried out. Andrew Thin’s guidance note will help explain the steps tenants should take and give them greater confidence in dealing with land agents. It was evident during the last round of rent reviews that a significant number had been carried out with scant regard for codes of good practice. This sort of behaviour must be consigned to history. STFA is keen to highlight the need for both parties to conduct rent reviews properly, fully justifying any change in rent, up or down, and giving plenty of time for discussion and negotiation. Tenants and landlords should also bear in mind that there is an industry agreement in place which advises that rent increases, if justifiable, should be limited to inflation – the Consumer Price Index. 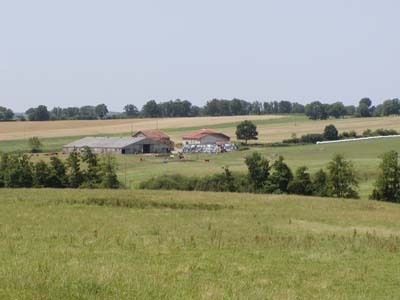 STFA has recently written to all their members reminding them that, if they have been issued with a notice for a rent review for this May, according to agreed practice guidelines, they should already have had an initial visit from their landlord or factor to walk the farm and discuss the rent review. An initial rental figure, justified by comparable and economic evidence, should be presented to the tenant for discussion at least 4 months before the term date. It has to be pointed out, however, that it will be difficult to find any justification for an increase of rent in today’s economic climate. STFA is also lobbying MSPs to bring forward amendments to the Land Reform Bill introducing statutory codes of practice in rent reviews and giving the new Tenant Farming Commissioner the means to enforce them. WE have also been lobbying for the creation of separate codes of conduct, to improve standards of behaviour and encourage respect and civility between all sides. The Scottish Government’s Independent Adviser on Tenant Farming has issued a new self help guide ahead of spring 2016 rent reviews on tenanted farms across Scotland. The guide has been shaped by advice from a number of industry stakeholders. It aims to provide both landlords and tenants with a summary of what they need to know, regardless of whether they intend to conduct their own rent review or pay someone to do it for them. It goes through the main steps that should be followed during the rent review process itself, and it looks briefly at changes proposed in the Land Reform Bill. It emphasises good practice including the Joint Industry Guidance issued in 2015, and lists the main sources of help that are available. Explaining his decision to issue the guide Andrew Thin said “The setting of a fair rent is central to ensuring a constructive partnership between landlord and tenant. Few other aspects of the relationship are as important”. “Most landlords and tenants understand this very well, but occasionally things can go wrong and disagreements ensue. As a consequence rent reviews can sometimes be daunting experiences for both parties”. “The aim of the guide is to help demystify the process and provide landlords and tenants with the basic information that they will need to manage a rent review successfully”. “Specialist skills are not essential other than an ability to analyse information, think logically and write clearly. Help with specific elements of the process can always be bought in if required”. “The guide should enable landlords and tenants to approach rent reviews with confidence, ensure due process, and secure a fair outcome for both parties”. Copies of the guide are available from the Scottish’s Government Independent Adviser at http://www.gov.scot/Topics/farmingrural/Agriculture/agricultural-holdings/Tenant-Farming-Adviser or by contacting the NFUS, SLE or STFA. 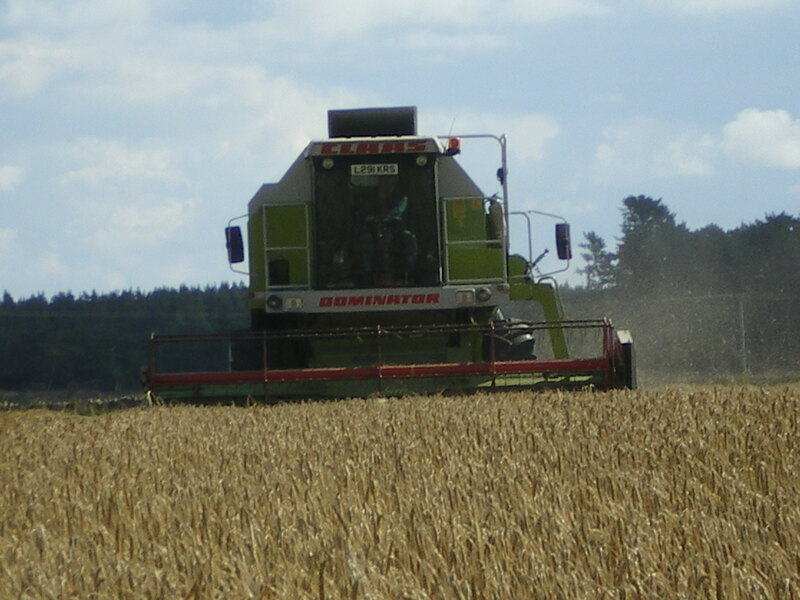 In submitting evidence to the Scottish Parliament’s RACCE Committee, the Scottish Tenant Farmers Association has welcomed the Government’s proposals which will allow secure tenants to assign their tenancy to a new entrant or progressing farmer, with the landlord having the option to purchase the tenant’s interest in their lease and improvements during the process. The valuation at which a landlord would be entitled under the proposal to recover vacant possession of the holding is based on the tenant’s share of the vacant possession premium and the value of the tenant’s improvements. The Scottish Tenant Farmers Association has told members of the Scottish Parliament that it fully supports the principles behind the Land Reform Bill and commends the RACCE Committee for their thorough and well-researched report. The STFA agrees with the committee that the bill can potentially make the rent review process fairer and more transparent; improve confidence in the sector; create a better environment for investment in holdings by both landlords and tenants; provide better opportunities for new entrants and younger farmers; and help older tenants to retire more easily. STFA believes a strong Tenant Farming Commissioner equipped with sufficient powers and statutory codes of practice will be key to regulating the sector, improving relationships between landlords and tenants and in overseeing the implementation of the proposed legislative changes in the Land Reform Bill. Commenting in advance of the parliamentary debate on the Land Reform Bill, STFA chairman Christopher Nicholson said: “Although the timescales are tight, this is not a rushed bill, it has been subjected to two years of research, two substantial reports and some intense engagement by government and the Rural Affairs committee. A wide range of views has been listened to and the result is a bill that strives to be radical while striking a balance between competing rights and interests. “The changes to rent reviews, succession and compensation for improvements for tenant farmers in Part 10 of the Bill represent the biggest reform to agricultural holdings since the post war 1948 Act. However, although the bill, as it stands, strengthens the position of existing secure tenancies, it does little to help those wanting to get a start in agriculture or those on Limited Partnerships or other short term tenancies who would like to move up the farming ladder. The new Modern Limited Duration Tenancies are little different from LDTs and landlords will inevitably prefer to keep control of the land and use short-term arrangements or contract farming. Nowadays decisions on letting land are largely opportunistic and driven by access to CAP payments. “Against this background it is encouraging to see that the Scottish Government intends to introduce amendments at Stage 2 allowing non-family assignation under certain conditions and creating a new full repairing lease both of which will fill the gaps in the bill. “STFA has long advocated the introduction of assignation of 1991 tenancies to non-family members and welcomes the government’s decision to include it in the bill. This new provision carefully balances the rights of landlords and tenants by creating a process in which 1991 tenants can assign their tenancies on the same terms to a new entrant or a farmer who is progressing through the industry (including tenants on short-term tenancies and Limited Partnership tenancies). As a balancing measure, the landlord has the option to buy out the tenant’s interest during the process; otherwise the tenant can proceed with the assignation. “Although this measure does not go as far as we would have liked, it is, in many ways the missing piece in the tenancy jigsaw and potentially a game changer in making the bill a more complete package. The assignation proposal will open up opportunities for tenants to retire with a realistic waygo valuation and allow new entrants and progressing or developing farmers access to secure tenancies with the added benefit of slowing down the decline in secure tenancies. Above all this proposal has the potential to re-instate the missing rungs in the farming ladder and widen access to secure tenancies. “In response to the RACCE recommendation, the government has also committed to bringing forward a new repairing tenancy which would allow landlords to rent out land in need of improvement with minimal fixed equipment on at least a 35 year term to allow the tenant to reap the benefit of his improvements before handing back an improved holding to the landlord. Other provisos are that the rent should be based on the productive capacity of the holding at the start of the lease and the tenant must receive compensation for his improvements. 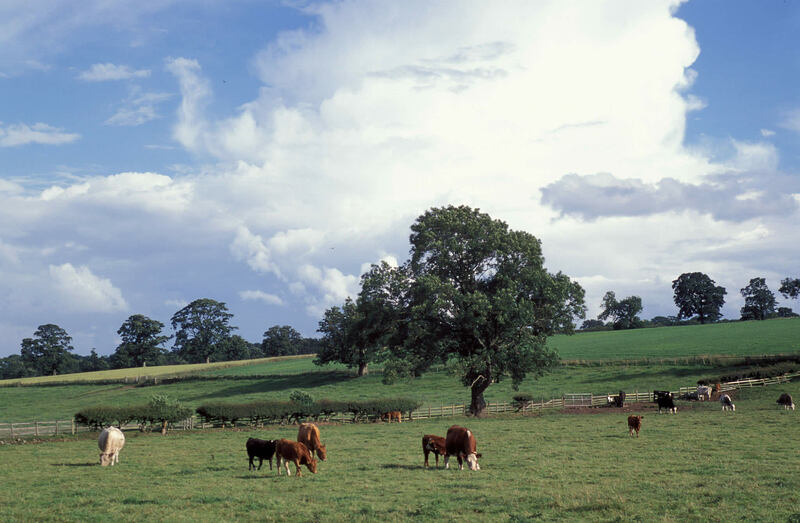 The Scottish Tenant Farmers Association can announce that a settlement has been reached between Andrew Stoddart and his landlord, the Colstoun Trust. The terms of the settlement are subject to a confidentiality agreement, but it is understood that agreement was reached last night following a mediation brokered by the Scottish Government. 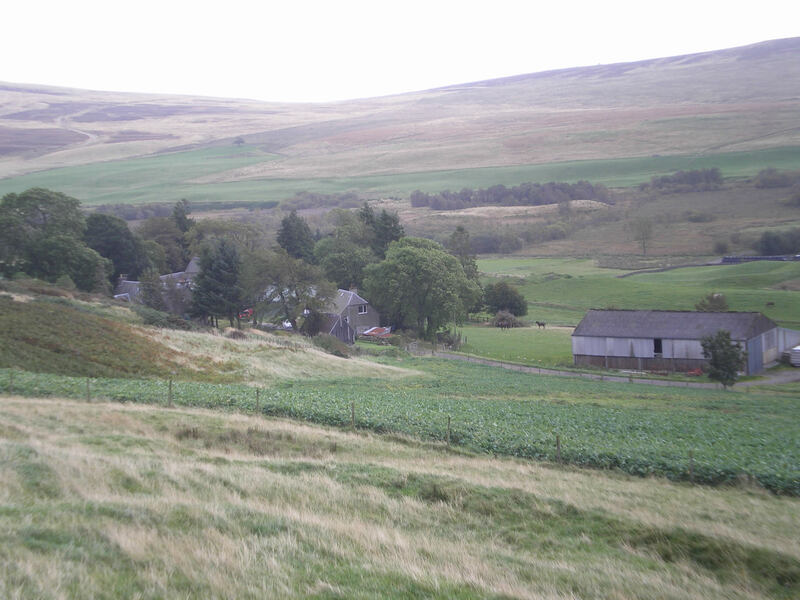 Mr Stoddart’s was due to quit his holding on 28th November, but following intense media coverage and public interest the Colstoun Trust agreed a couple of weeks ago that the Stoddart family would be able to remain in the farm cottage after the end of the tenancy. It is now understood that offer is confirmed until the end of January. Andrew Stoddart has made the following statement: “Following eleventh hour mediation, we have come to a settlement with the Colstoun Trust. This has been done to protect my family from further anxiety. A short period of occupancy has been agreed to allow us to remove our animals and dispose of our equipment to better advantage. “All we ever wanted was just to farm this place and bring up our girls in this community which we love. I would also like to thank my two loyal employees for sticking by me for many years, and especially this year when the end was in sight. I wish them both well for the future. I would also like to thank the Scottish Tenant Farmers Association and my professional advisers. Welcoming the news, STFA director, Angus McCall said: “This last minute agreement will be welcome to the Stoddart family, especially in the run up to Christmas. However, if the aftermath of the Salvesen Riddell Remedial Order had been managed better, Andrew Stoddart would have been able to mediate an agreement with his landlord and the Scottish government a year ago and the situation would never have gone as far as this. “We are grateful to the RACCE committee for their support and it is largely due to their efforts and public pressure that this mediated settlement has taken place at all. We hope lessons will be learnt and the remaining seven tenants and families in the same situation will not be expected to suffer as much worry and stress as the Stoddarts. STFA is concerned to hear from members that there are a high number of rent reviews taking place this November, with more rent notices served for May 2016 reviews. With all main farm commodity prices at low levels for a second year in a row and CAP support payments expected to be both reduced and delayed, the industry bodies must question the reasoning of landlords currently seeking rent increases. Commenting the situation STFA chairman Christopher Nicholson said: “Landlords know that this may be their last chance to increase rents prior to the Land Reform Bill introducing a new rent test based on the productive capacity of the holding, replacing the present open market test. All industry stakeholders including Scottish Land and Estates recognise the need for a more appropriate rent test closer to the model used south of the border for the last 30 years to ensure the setting of viable rents. The last time commodity prices were this low for two consecutive years was back in 2005/06, but the situation is arguably worse today given the poor prospects for CAP support payments. Landlords continuing to seek rent increases in the current climate are clearly putting opportunism before responsibility, and risk driving a wedge between tenants and landlords at a time when the tenanted sector is looking for common ground and actively promoting better relationships. “I would like to ask Scottish Land and Estates and NFUS to encourage their members who are still driving for rent increases to consider the potential damage that they risk causing. A number of professional agents and lawyers have expressed the view that unless a holding has not had a rent review for a very significant length of time, there is little justification to increase rents in the current economic conditions. It is therefore ironic that tenants who have had regular rent reviews are now being threatened with referral to the Land Court unless they agree to further rent increases.